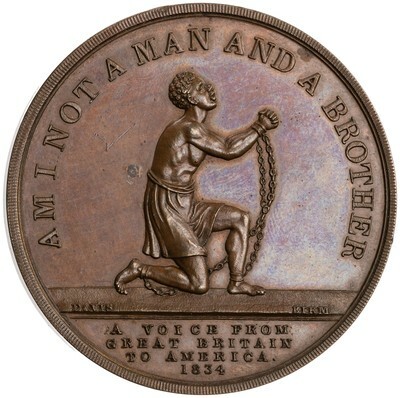 Obverse: AM I NOT A MAN AND A BROTHER; in exergue: A VOICE FROM/ GREAT BRITAIN/ TO AMERICA ./ 1834; on ground line, to l., DAVIS, to r., BIRM - Slave in chains kneeling to r., hands clasped. Reverse: THIS IS THE LORDS DOING; IT IS MARVELLOUS IN OUR EYES. PSALM 118 V.23; in ex., JUBILEE AUGT. 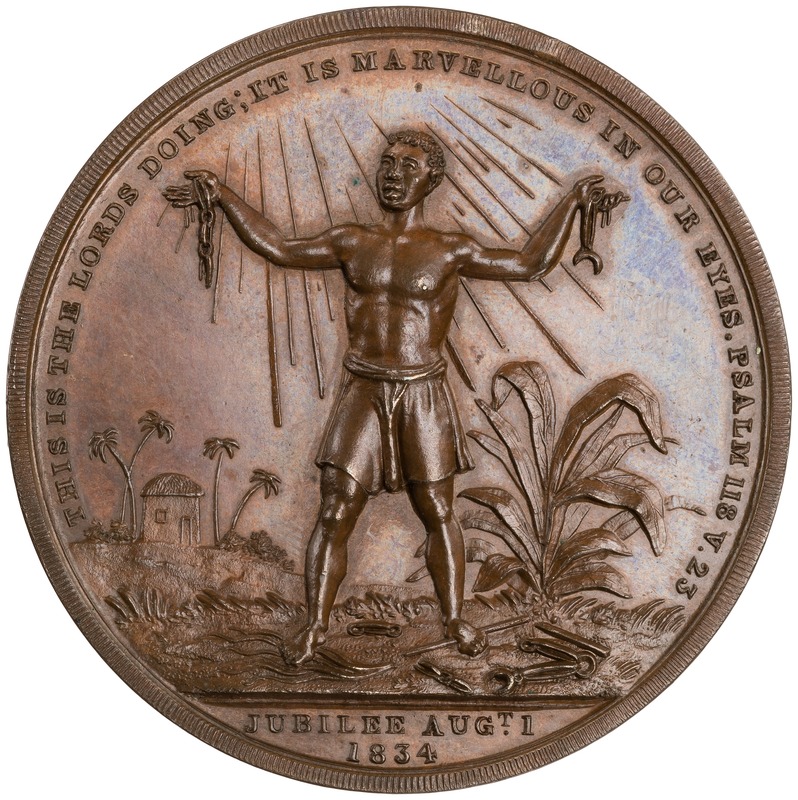 1/ 1834 - Freed male slave standing facing, raised hands holding his broken chains, amidst broken shackles and whip, surrounded by rays; in background: hut, palm trees and plants.